Christmas is just around the corner and I am feeling EXTRA festive. Last year, I shared my 2016 gift guide + did an awesome giveaway. This year, I’m hosting an even BIGGER giveaway! 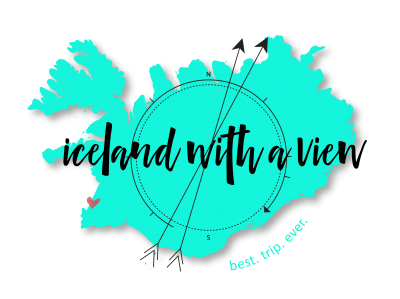 You know my mission has always been to help you plan the best Iceland trip ever, but NOW I’m taking it to a whole new level! I want you to have the best winter Iceland trip ever! So I’ve teamed up with Arctic Adventures and rounded up my favorite winter items to make your Iceland trip amazing. See below for ntry details and more info. If there’s one extra thing that you need to know about winter travel in Iceland, it’s that the cold ZAPS your electronics faster than normal. Don’t let your phone suffer and keep my favorite charger on hand at all times! People are always asking me what kind of converter they need when traveling to Iceland. Well, this one is my favorite BUT not only is it good all throughout Europe, it also has conversions for USA and UK plugs! ANNNNDD it has two USB outlets to make phone charging a breeze! This is the perfect way to warm up on a winter day and you’ll always remember Iceland with this beautiful mug! Have some burning questions about your trip planning? 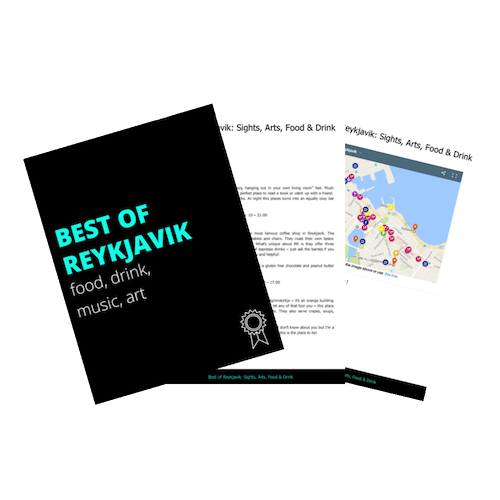 Wondering where my favorite spots around Iceland are? Wanna talk about expat life? Whatever is on your mind, I’m ready to chat! A DIY planner’s dream! This guidebook is packed FULL of helpful info. With 45 pages of planning tips, itineraries, and my famous Google map, this is all you’ll need to plan the best trip ever. The reviews speak for itself – travelers love it! One of the MOST common questions I get asked is what tour company to book with for glacier tours. And if you know me, you know that I only work with the BEST companies in Iceland to help give you the best experience! Arctic Adventures is offering a FREE Blue Ice Glacier Hike and Ice Climbing tour package on the beautiful Sólheimajökull glacier in South Iceland! You can read the complete tour details here. The winners will be notified by email and will have 48 hours to claim it before we move on to the next person. Arctic Adventures will contact the winner of the Glacier Hike and organize all details about the tour. Winners of the physical items (charger, adapter, and mug) will receive their prize within a few weeks from the announcement. Winner of the Ring Road Guidebook will receive the book immediately upon confirmation. *Thank you to Arctic Adventures for sponsoring this giveaway! I stumbled across your blog and I am SO glad I found this! My husband and I are looking to come in May and your blog is so helpful! In late May, what should we expect as far as weather? We’re from Southern California, so it obviously won’t be warm by our standards, but should we expect snow? Love all this info and support! So excited for our trip? Already you planning second summer one and haven’t had the first yet! Merry Christmas to all and safe travels! My sister and I would LOVE to come back to Iceland! !